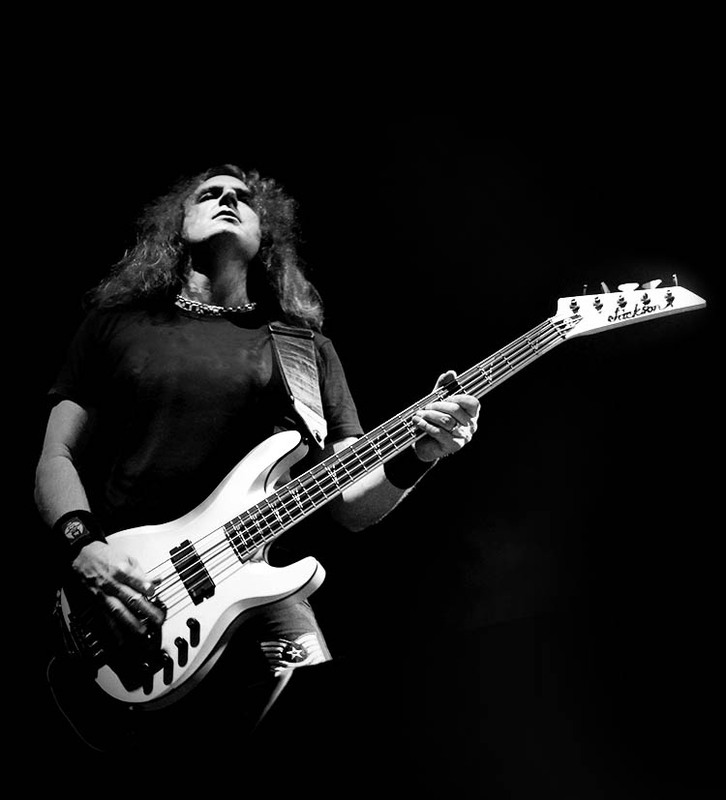 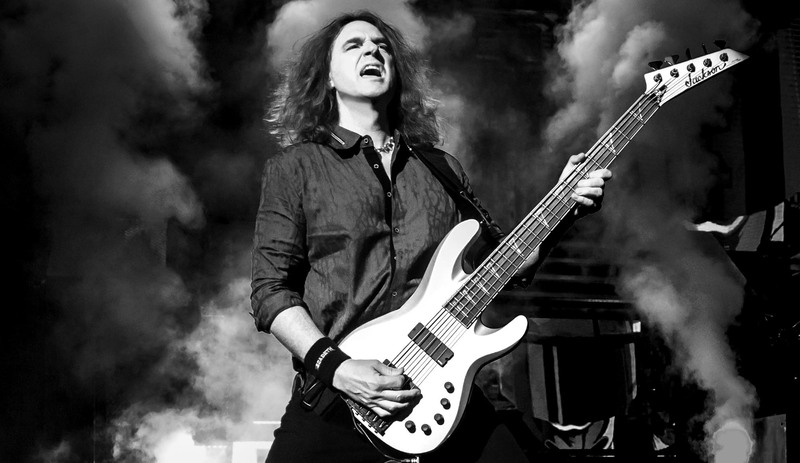 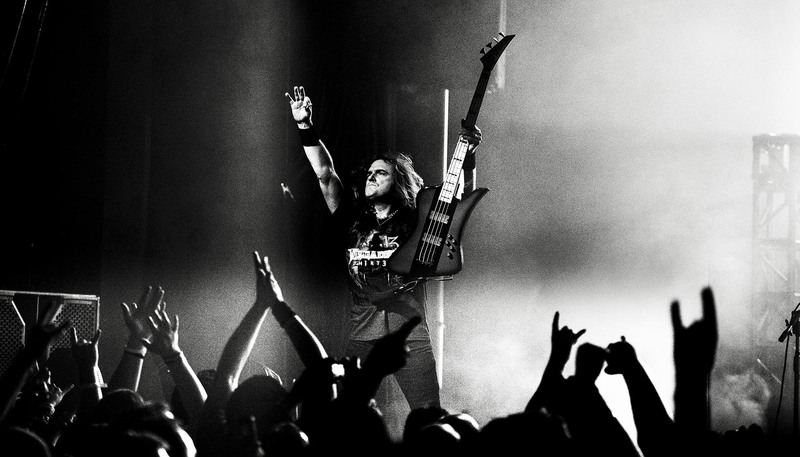 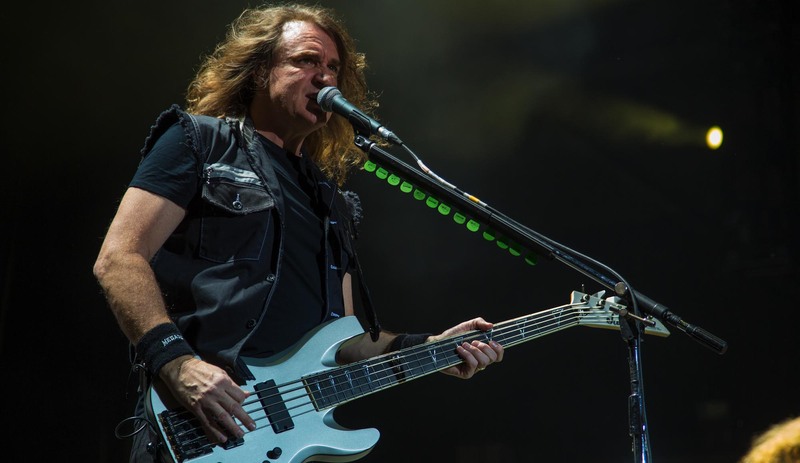 Bassist David Ellefson has reigned as a titan of thrash bass, garnering worldwide acclaim as a co-founding member of “Big Four” thrash innovator Megadeth and widely known for his fleet-fingered, hard-hitting style and versatility. 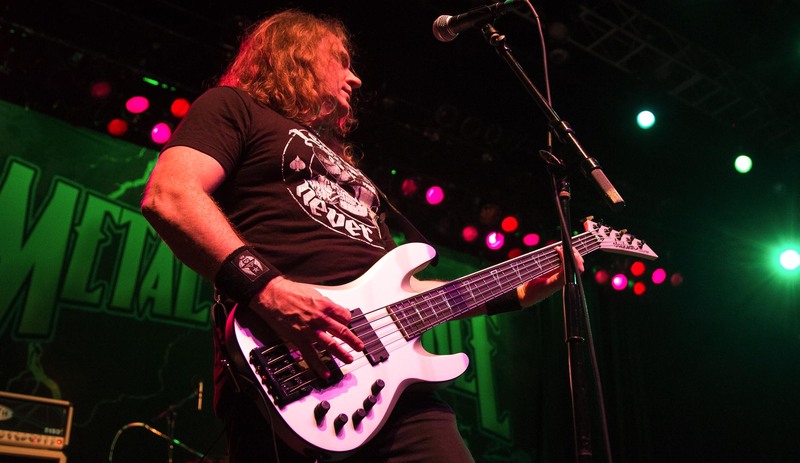 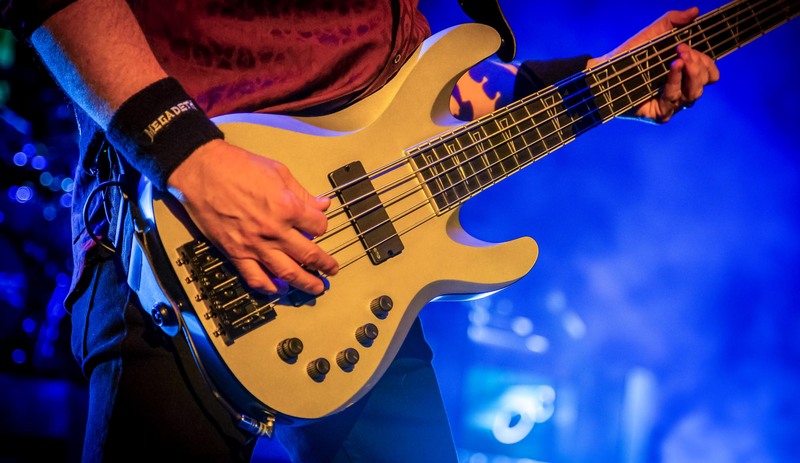 Simply put, nobody shreds a bass like Ellefson, and Jackson is proud to have his name on several formidable bass models. 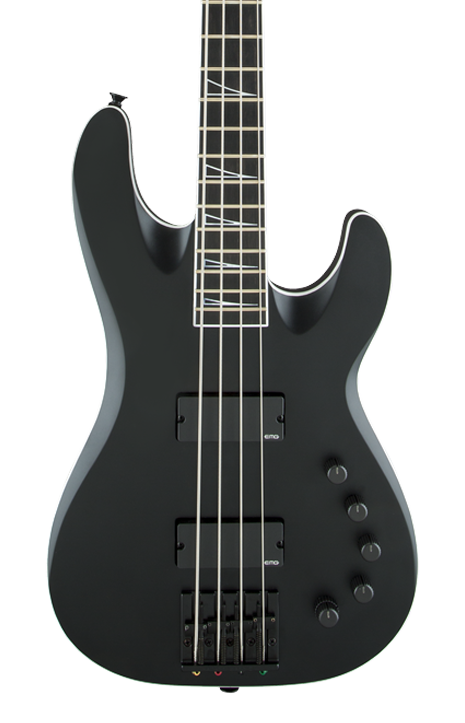 Alder body with black binding, through-body quartersawn maple neck with white binding and scarf joint, 12"-16" compound radius ebony fingerboard, outlined sharkfin inlays, 21 jumbo frets, EMG humbucking neck (35CS) and bridge (35DC) pickups, five black domed control knobs (volume control, three-band EQ, blend), Jackson high mass bridge and Hipshot® open-gear locking tuners. 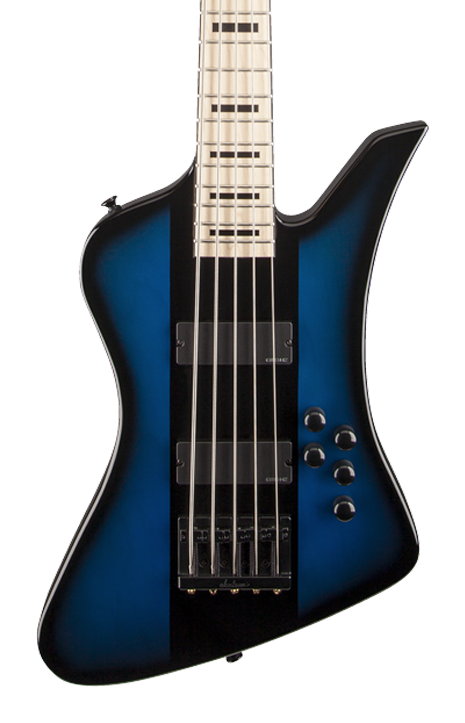 Comes with hardshell case. 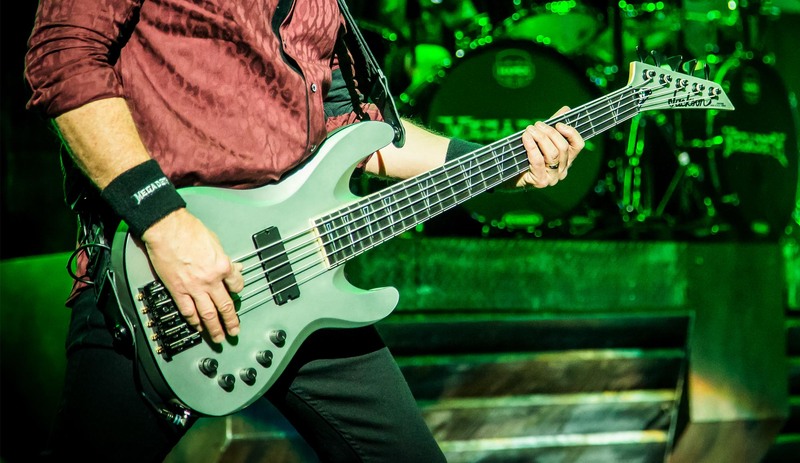 Basswood body, bolt-on quartersawn maple neck with unique profile, 12”-16” compound radius rosewood fingerboard with sharkfin inlays and 21 jumbo frets, bound black headstock, EMG humbucking neck (HZ40N) and bridge (HZ40B) pickups, five domed control knobs (volume control, three-band EQ, blend), high mass bridge and David Ellefson silver “Fallout” logo on truss rod cover. 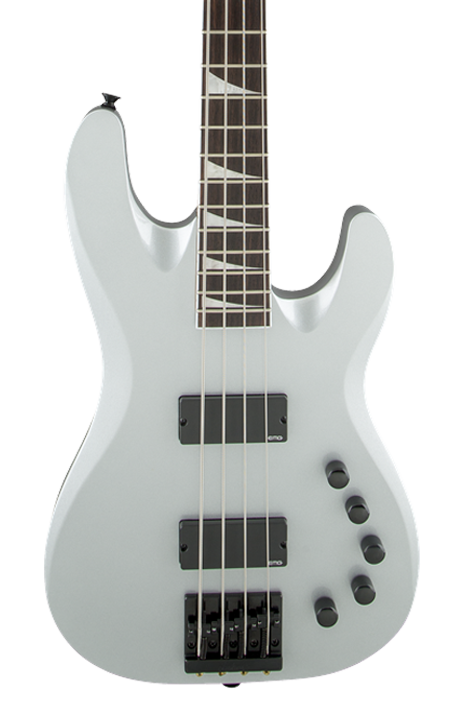 Basswood body, bolt-on quartersawn maple neck with unique profile, 12”-16” compound radius maple fingerboard with block inlays and 21 jumbo frets, bound black headstock, EMG humbucking neck (HZ40N) and bridge (HZ40B) pickups, five domed control knobs (volume control, three-band EQ, blend), high mass bridge and David Ellefson silver “Fallout” logo on truss rod cover.